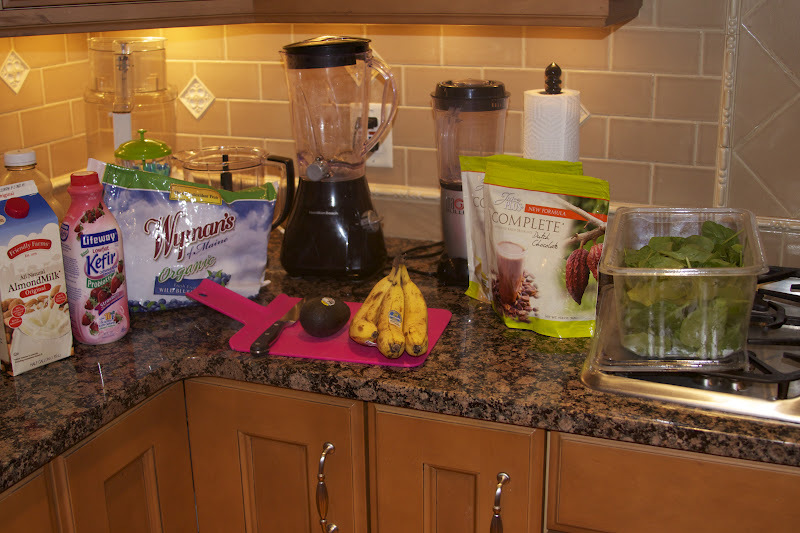 As we start a new year many of us are trying to get back on track with healthy eating. But if you are like me you like to entertain and we often think that those two don't overlap. 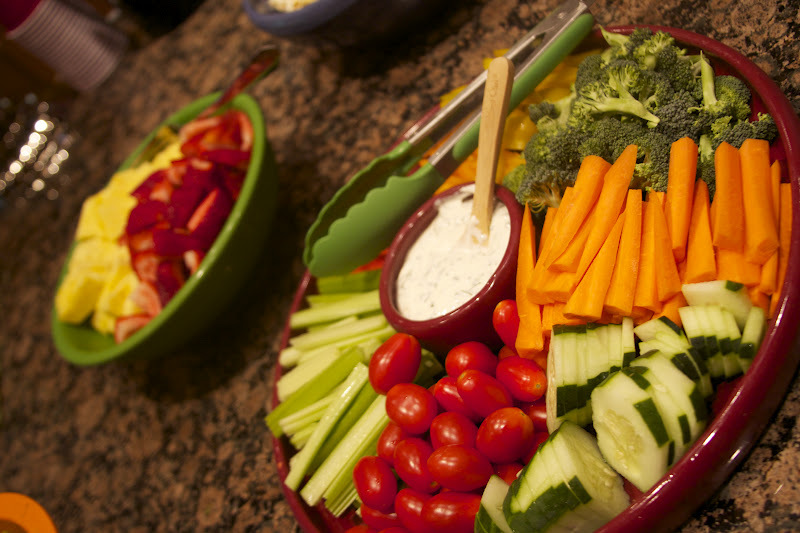 But it is easy to serve healthy food for a party. I am a Juice Plus + rep and with that comes events about healthful living and eating. These ideas and pictures are from a recent event at my house. 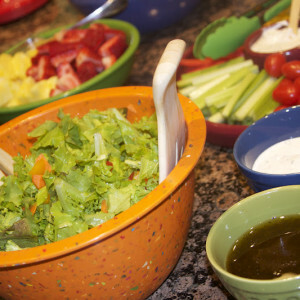 Party food does not have to be high in fat, sugar, and calories, not that I don't love those party foods too. 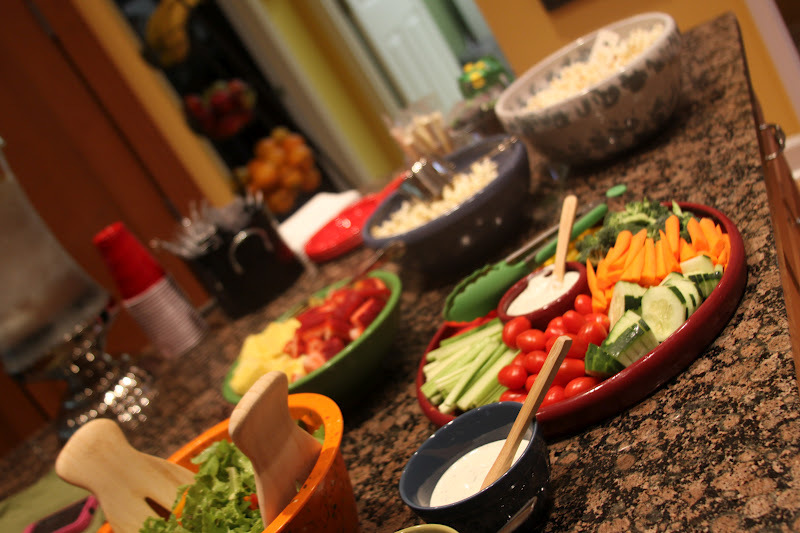 But this party was all about how to get more fruits and veggies into our families diet and to introduce Juice Plus + with those who attended. 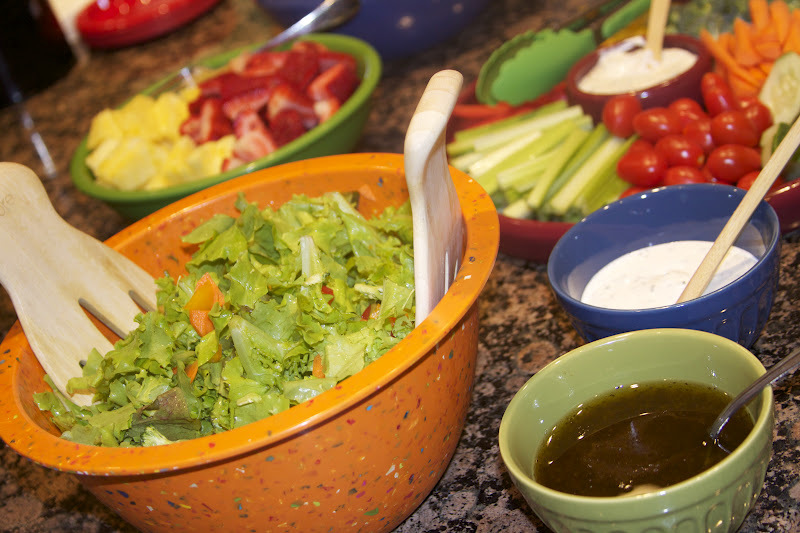 And these dishes were much FASTER to fix compared to "regular" party food. 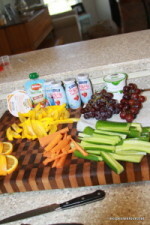 Have those fruits and veggies where you and you family can see them. If you don’t see them you will forget about them. Have a few strawberries already washed and capped in a bowl in the fridge. Wash Grapes when you get home from the store and have them where everyone can reach them in the fridge, they also a good sweet treat frozen. Keep a bowl of shredded carrots in ready to add to smoothies, salads, and side dishes like adding a handful to sauteed broccoli. Have carrot sticks, broccoli, cauliflower washed and cut in the fridge (I like to pull out fresh veggies and dip while cooking dinner because my family is always looking for snacks at this time. With this approach they are get a good for them snack. 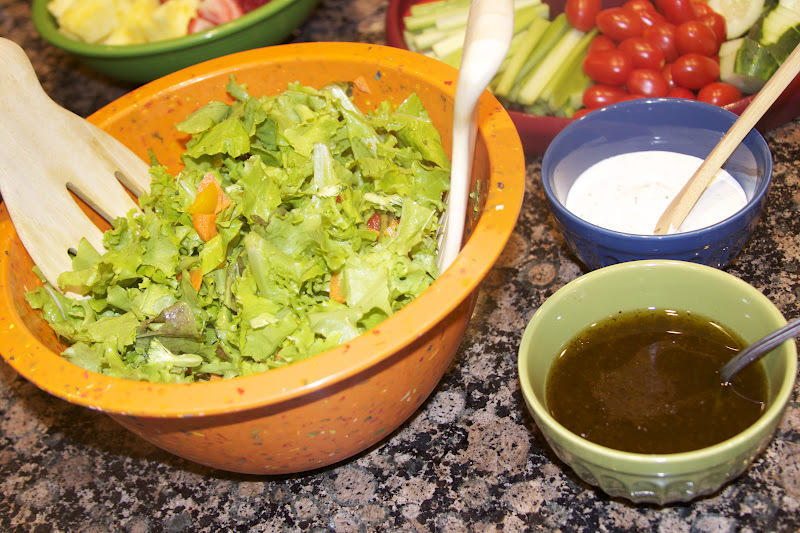 We had a fresh salad (lettuce straight from the garden) with a Vinaigrette dressing and Ranch Dressing ( made with 1/2 cup Greek yogurt, 1/4 cup mayo, and 1/4 cup sour cream). Also had fresh fruit and veggies all cut up and ready to. 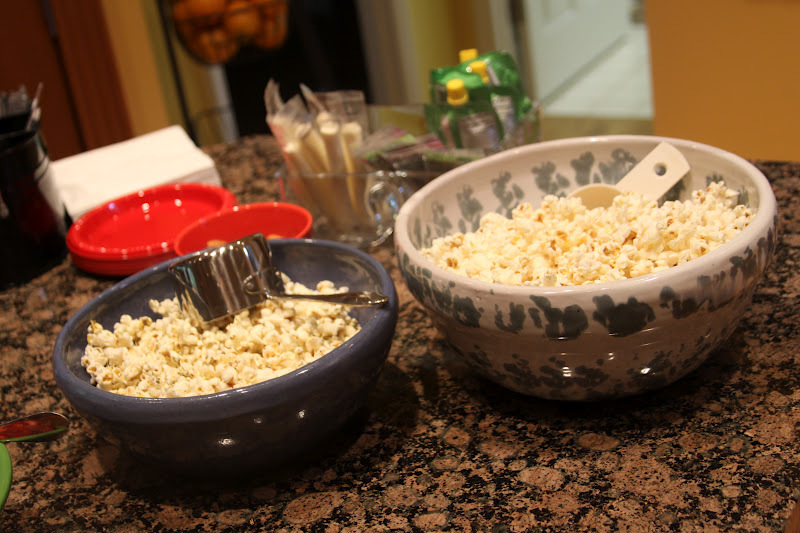 Air popped popcorn with very light salt in one bowl and Pizza Popcorn without the Pepperoni in the other. 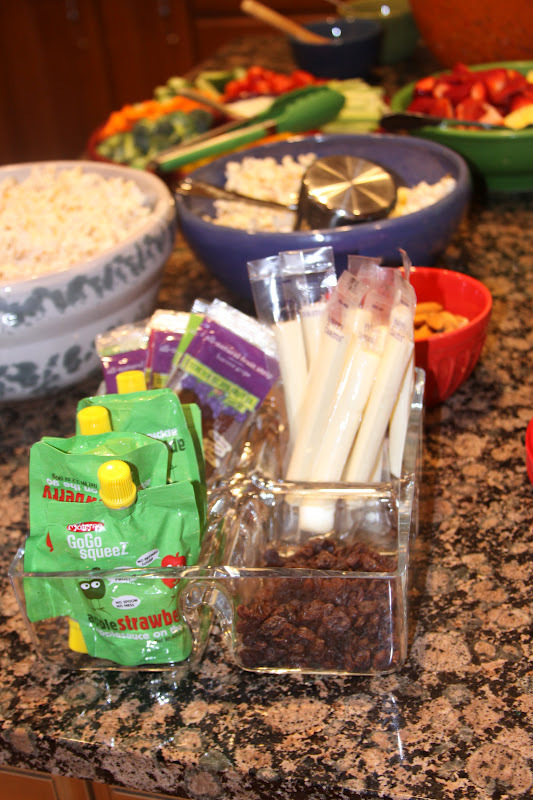 Bowls of different nuts and some snacks that were sure to please the children that were attending with their parents. Then we had fish, and lots of fresh veggies for each person to make and cook their own dinner in the parchment paper bags. No one at the party had used this method before and really enjoyed this fast and super easy way of cooking. 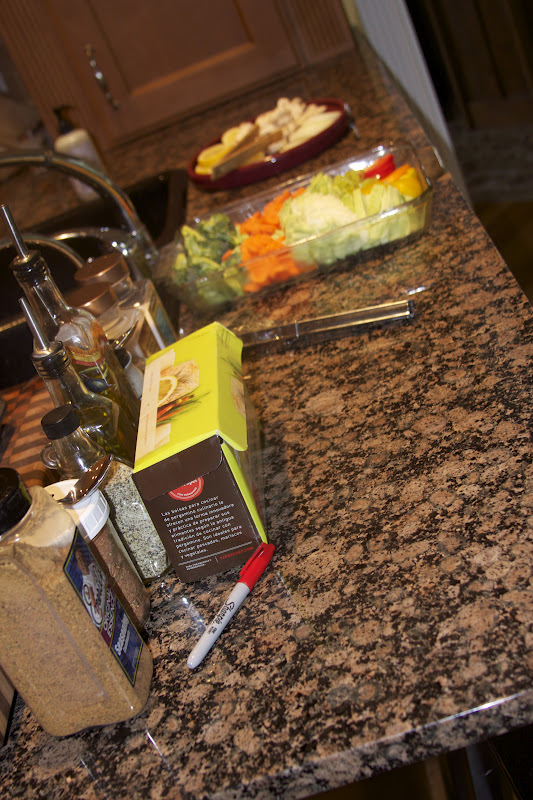 We supplied salmon and tilapia, several types of oils, and spices. Along with fresh broccoli, carrots, cabbage, peppers, onions, mushrooms, and lemons. So we made This, and This.